Questions about Military Events and Ceremonies onboard? Please review the frequently asked questions below. If your question is not answered, contact the Events Team at events@midway.org. 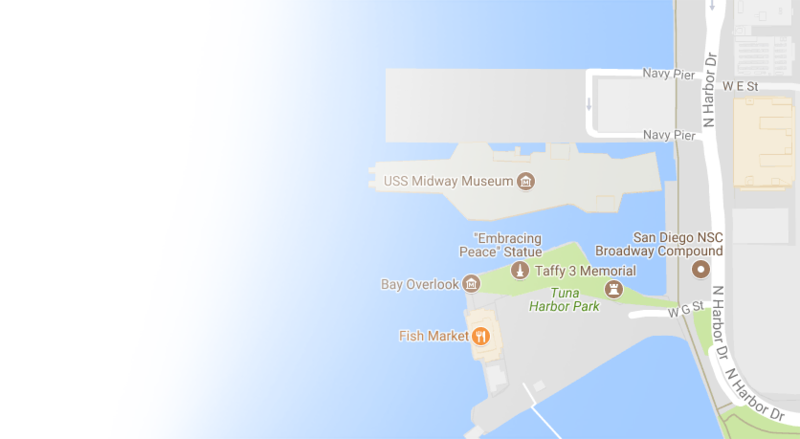 The parking lot adjacent to the USS Midway Museum is owned by the Port of San Diego and is managed by ACE parking. The Military Event Manager can provide details of the current parking fees. How much time is allotted for my ceremony and/or reception? Can I schedule a rehearsal time onboard? 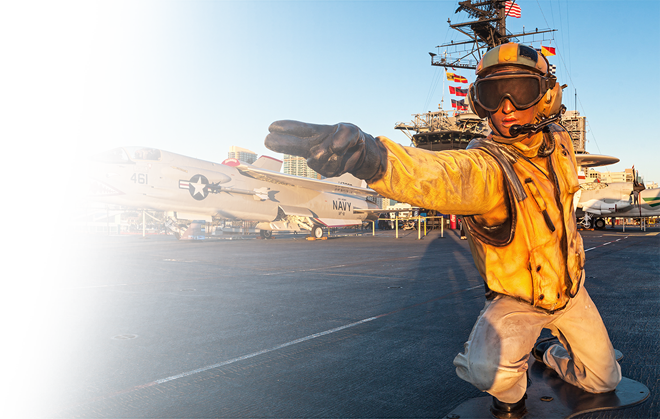 You may schedule as many walk-through rehearsals onboard as necessary depending on space availability. All rehearsals must be coordinated with the Events Team. No equipment is provided for the rehearsal. Midway will provide a set-up diagram for the rehearsal. The Hangar Deck may be available as a weather back-up option depending on the group size and availability. 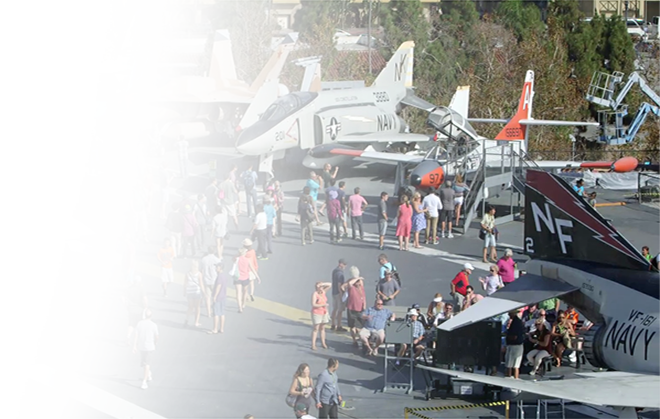 Availability is dependent on other scheduled events and/or any Midway exhibit construction. We offer a military discount, renting each umbrella at $25. They are nine feet, neutral colored, and include a heavy base. We recommend 5 umbrellas for a 50-person event. Is a stage/riser included in the Formal Sit-Down package? Yes. An 8’dx24’lx24”h stage with skirting and two steps is included. Additional costs may be incurred if a larger stage is required. Are the 50 state flags available? Yes. Rental of the flags is $75 and includes set-up and dismantle. 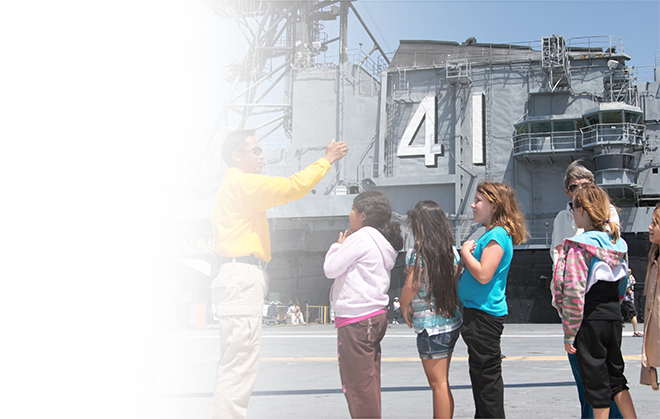 The flags are affixed only to the flight deck fence, in order of state admission. They cannot be used near the flight deck island or on the hangar deck. Who handles the invitation and timeline aspect of my ceremony? Invitations are handled through your ceremony coordinator, not Midway. You or your ceremony coordinator are responsible for ceremony timeline and content. Who provides the music for my ceremony? You or your ceremony coordinator is responsible for music. If you are not using a band, the Midway sound system will accept iPods, iPads, iPhones, MP3 players and CDs. Each ceremony should have a music coordinator to cue the music. Music choices must be appropriately themed for military ceremonies. Is a deposit required to secure my event date? Yes. To confirm your reservation Midway requires payment in advance for the small seated ceremony and a $200 deposit for the formal seated ceremony. Events may be scheduled a year in advance. We recommend reservations be made as early as possible to ensure your preferred date and time. Does Midway provide linens for banquet tables provided in the formal sit-down package? 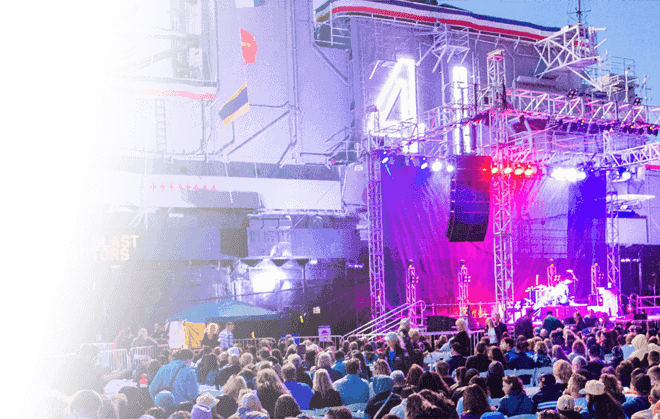 Midway provides a blue cover with the USS Midway Museum logo in white for tables used to display awards and presentations. If you are planning to use one of the tables to serve a cake, you must provide your own table cover (disposable recommended). Is the self-guided Museum tour included in military ceremonies? Yes. 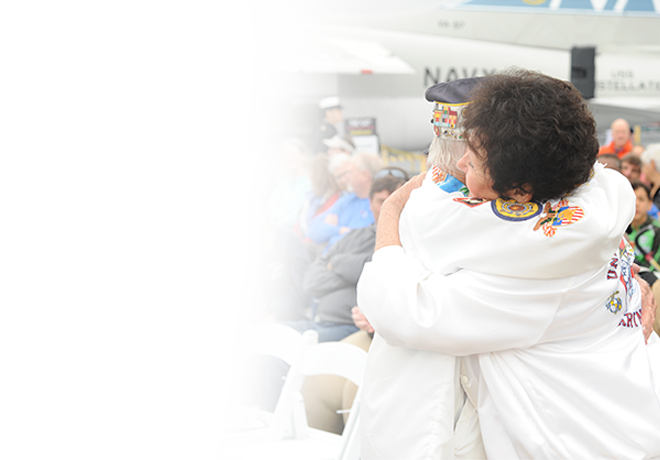 Attendees at all military ceremonies are welcome to enjoy the USS Midway Museum following the ceremony until closing at 5 PM. Can I bring my own ceremony equipment aboard? No. Only equipment provided by the Museum may be used. Please speak to the Events Team in advance if you wish to include Command displays in the ceremony.